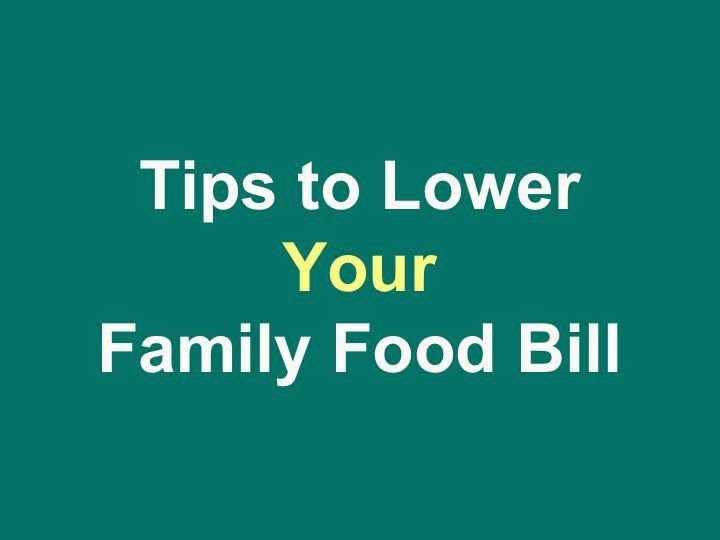 Knowing how to cut your food bill in half can open up room for many exciting things. Feeding your family on a budget does not have to be difficult. However, these day this knowledge is necessary by all families. Knowing how to cut your grocery bill can open up room for many exciting things. In the process we might learn how to be more disciplined about caring for our families, eat healthier and afford more in other areas of life. The summer is just around the corner. You are probably thinking of different ways to enjoy that time with your family. Imagine saving $400-$500 in the next few months on food and groceries. Here is your next years’ vacation! In the process of developing this post I wanted to “play a game” with my finances. I needed to check if my ideas worked. I wanted to see if I can save $200 within a month for a plane ticket to a much anticipated teacher vacation without tapping into my savings. And it worked! Here is how you can do it too! Do you make these mistakes while shopping for your family? You have all the ingredients ready for a healthy dinner. You come back home so tired that you end up ordering pizza or fast food. Especially after a frustrating day at school. You run to the store last minute to buy some garlic. You end up spending $30 and come back with a full bag of groceries. You buy groceries that don’t get used up. At the end of the month you throw things away. You go to the store without a shopping list. You come back with a huge bill and lots of items purchased spontaneously. We are all guilty of these at one point or another. If you have done one of these four things, keep reading! First, look at your bank statements carefully. Where do most money go? Do you have habits that you need to change before we start cutting your grocery bill? Your ways of spending and taking care of your family will be different from others. Examining your habits and realizing where you need to cut is the first step to making a change. Plan your meals every week and cook from scratch as much as possible. The difference between planned meals and random eating is the difference between making your dollar go far and wasting money. Most people who spend too much on food are random in their spending habits. The ones who can handle a tight budget are careful about planning and cooking. The next tips will help with that. Pack up your lunch to work! Spend one hour on Sunday to make something that will last (rice, couscous, pasta dish, etc) then pack 5 individually sized portions for the week. You may find that you are actually eating better this way and you will save up a ton. Making this shift has helped me make a huge difference in lowering my monthly food bill. I have started a series of posts with lunch recipes that are easy and delicious-each makes just about 5 individual portions for $5. I will be adding a new recipe each week. Check it out for ideas. Pick one day of the week to do most of your shopping and cooking. Think about all the ingredients you will need and try to purchase them in one time while having a list with you. This will prevent additional purchases and compulsive shopping. Some people like to shop for one or two weeks, others like to do the bulk of their shopping for the whole month. Experiment to determine what is best for your schedule. Once you determine that, do not go to the store without a shopping list. Most money we waste is on impulsive purchases, not on what we actually need. Then pick a day of the week to do more of your cooking so you have ready meals during the week when you are more likely to be tired. Even if you don’t like cooking, spend a few hours once a week to prepare for most lunches and meals that can be enjoyed later. More specific details on that later in the post. Do not go to the store when hungry. Period. Have a theme of the week. Most ethnic cuisines use common ingredients. You would buy the same spices and vegetables if you cook a few themed dishes. For example, summer is a great time to have Mexican inspired taco meals. During the winter, when you need something to warm you up you can try some Thai soups and curries. Experiment with different recipes and pick a couple that you can prepare well and make a staple at home. Have fun with it. Focus on one or two ingredients to guide your meal planning. Similar to the idea above. Scan the weekly adds and plan your main ingredients around the sales. Focus on one protein and/or starch. For example chicken and rice. If I see that chicken is on sale two for the price of one, I will buy it and pick up some greens and potatoes to complete the meals. Now, during the summer lots of vegetables go on sale. I would buy those, then pick up some rice for stir fried rice and side salad. Thinking this way makes for a very easy meal planning. You will not get bored with this meal planning because it is only for a week- you can change it the following week. Focusing on a main ingredient and using weekly sales not only saves money but makes shopping and cooking much easier. Eating within the season is better for you and it is much cheaper. Seasonal fruits and vegetables are also priced better. Scan the weekly adds, after choosing your main ingredient, choose appropriate vegetables and fruit on sale to complement these meals. For example, you can buy melons for less during the summer and cook a lot with pumpkin in the Fall. If I know that bell peppers and eggplants go on sale around the end of the summer, I would plan a few recipes that involve these ingredients. Here is a post on what to buy in June to help with that. Buy things in bulk (read though not always). This will create convenience and you will save a ton of money. Things like rice, beans, oats can be bought from stores like Costco for a fraction of the price you would pay purchasing them in a smaller packadge. Stoke up on items you enjoy cooking with, then have those available at all times. For example I LOVE cooking with quinoa. I have plenty of simple and easy recipes for the summer. I am now waiting for it to go on sale in one of the stores I shop at and will stoke up as soon as I see that happen. All I would need to do after is buy fresh produce to complete the meals. However, be careful!!! It is easy to start purchasing things just for the sake of them being on sale. Don’t purchase extra just to stoke up on items that may not get used up-buy items that are staples in your kitchen. Also, visit your local stores and be mindful of their difference in price. Some items may make sense to purchase in bulk, but others may actually be discounted at a regular store. Do your research, especially with the items you use most. Buy less quantities of items that get spoiled. While stoking up on items that do not spoil, be careful with the quantities for all others. This is mostly true if you don’t have a big family. Sometimes we tend to purchase more than we can use up. I used to go to the store for some fruit. Because it is healthy, you know…I would return with enough fresh produce to feed the whole block for a month. Naturally things would starts spoiling before I can eat it all. Think about your needs and that of your family. Spend accordingly. Invest in a bread machine. If you have kids at school and prepare for lunches daily, there is probably a lot of bread you go through. Although it is not as expensive, it does add up. Making your own bread at home can lead to huge savings. Plus you will always have fresh bread available. If you have the time, you can learn to make your own bread in which case you may start here. But you may also be too busy for that. Bread is actually very cost effective. It only takes flour, yeast and water. Bread machines run around $90.00. If you go to Costco and also purchase flour in bulk, you would have spend $100.00 for the whole year! Then, think about savings in the years to come! Involve your children in cooking. Your children can be of great help when cooking or preparing for meals ahead of time. You are not only having them help, but you are also developing habbits they can use later in life. Soon your baby will be off to college. They will need to know how to stay within a student budget and not break the bank. Be most careful in times of stress! You will want to spend more simply because of your hectic schedule or give to emotional eating. You need to be very careful to stay disciplined in these periods. It best to pick ONE tip and make sure you stick with it when overwhelmed. Also, when you have too much on your plate, keep things simple on the dinner table. A simple healthy recipe like this one handy that can be used up for lunch on the busy days is better than running to order pizza last minute. Don’t be alone on your journey to saving money on food bills. Talk to friends, respond to this post, chat with your husband about it. Make sure that other people keep you accountable. This is the very reason I wrote this post. I knew that if people are reading it I would have no choice but to practice what I preach. Cut your grocery bill while making it a “fun social interaction game”. Here is another way to be effective and get extra help. This Grocery Budget Makeover Course is very helpful in giving step by step challenges to reduce your monthly bills. It is designed by the $5 Dinners site. It is so popular that there is a waiting list and the new course start in the Fall. You can sign in for the wait list here. Household cleaners can add up quite a bit to your monthly bill. If you want to lower that, I recommend using Grove Collaborative. They sell organic cleaners that have lower price that the retail stores. They deliver to your door too which makes my life very easy around the stressful times of the school year. Which one of these tips are you already doing? Over the next month, see if you can pick just two other tips to add. Share in the comments which ones have been helpful to you. Now, let’s look at specific families that have been successful at making it work on a set food budget. All of the bloggers below specialize in writing about how to reduce grocery bills in different ways. The extra tips found on different blogs will add to the above list and provide specific examples of people saving money while caring for their families. One of the main reasons we spend so much on food in the US is …well…because we can. More or less we are spoiled in comparison to other countries. This is why it is good to have reminder from time to time. This blog post offers a great challenge to cut your grocery bill and feed your family for less. The challenge is to eat up what is in your pantry twice a year. Instead of going out and buying new food, use up what you already have. Remember at the beginning of the post when we talked about saving extra for that vacation. This is where you want to start. Check it out, it is good! Household cleaners can add up quite a bit to your monthly bill. Lowering this cost can help your budget and savings significantly. 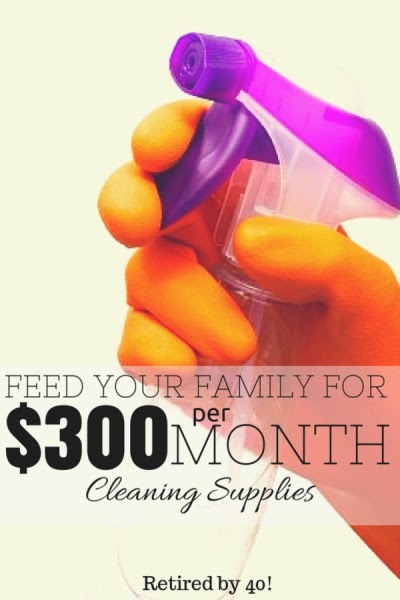 See how this article offers help lowering your cleaning supplies cost. The purpose of this post is to help you save money, not spend more. Yet, some people do better when they have resources to keep them on track. 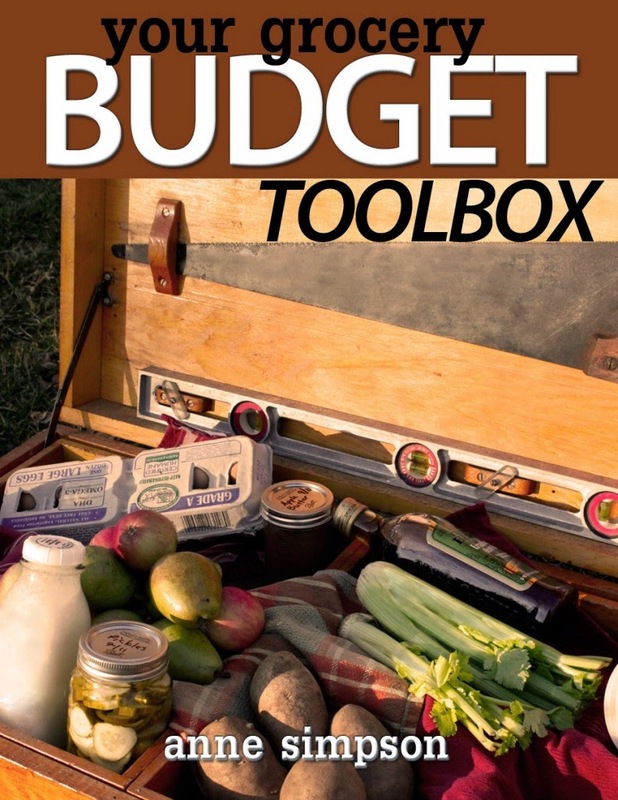 So here is a book you can check out with spreadsheets and lots of helpful tips on how to cut your grocery bill and save money. Here is also another app for for meal planning. This site also provides ideas for meal planning and a downloadable meal planning calendar. Want to squeeze family meal plans for $20 a week? Even though a bit extreme, the host at Frugal Farm Life Blog is successful at that. She posts exact menus, grocery lists and tips on how she does it. 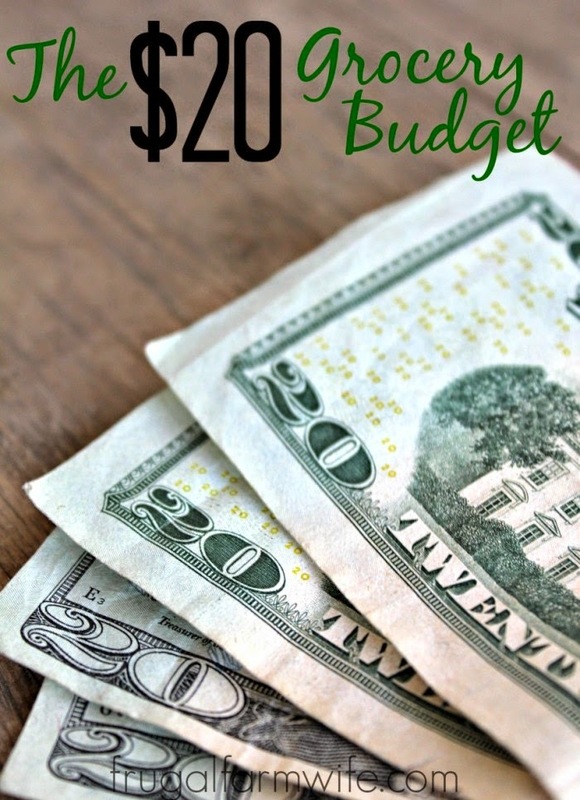 If your family budget is tight and you have to make it work, here is where you start! I love this post! 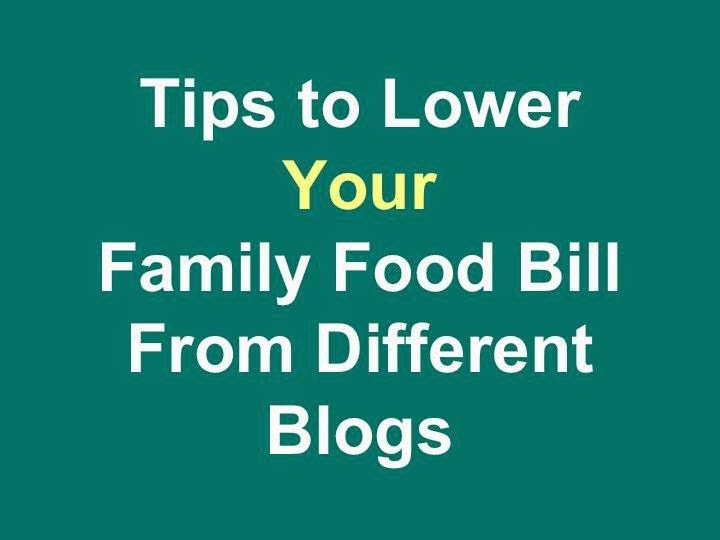 Their tips on how to cut your grocery bill are simply fantastic and are pared with examples. All families can incorporate them to different degrees. See how this family eats for $35 a week in the Portland area. Great ideas you need to check. This New Yorker spends about $60 a week for two people and prepares all his meals. In order to cut the grocery bill, He cooks once a week and prepares seven balanced meals for lunch and dinner amounting to about $3.00 per meal. All meals and recipes are then put on Instagram. Other wonderful recipes on the blog as well. 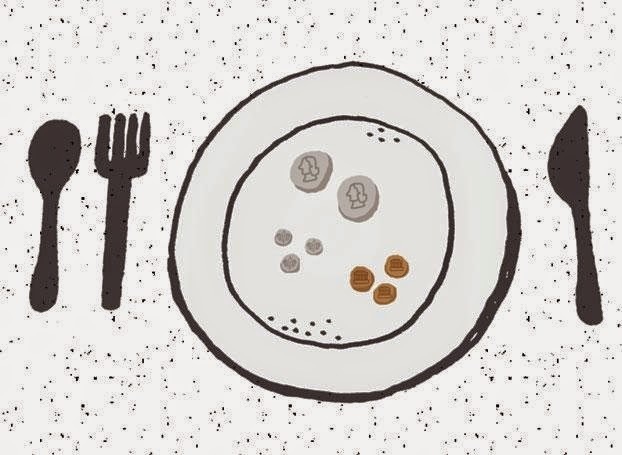 How much do you spend on food per month and where do you live? Thank you so much for sharing the links on your post. I already do most of the tips you suggest (unfortunately we only have $200 per month for groceries and household items available – yes, you read right, $200 a month), and I was really excited to find the links for the $20 and $35 a week posts. Thank you so much! Bibi, thank you for your comment. I am glad it was helpful. Yes, seeing an example of somebody doing it with a specific amount ($25, $30, etc) is so much more helpful! I am experimenting with all of these and that I have plenty of free time (I am a teacher) I am developing recipes for less which I will be posting. After spending the time to be mindful and being wise about meal planning I am finding out that $50 a week is actually enough to eat VERY HEALTHY and VERY WELL and with $30 you can still do it but with certain limitations and "hacks" on the food and products you use. I love these tips – and I'm sorry to say that I've done most, if not all, of the no nos in the beginning. But we, in America, all eat too much and throw too much away. Always good to be reminded that we can live on less and get a vacation too. That;s a win/win. Thanks for sharing. Visiting from Wise Woman. Thank you, Rebecca. Yes, this is very true.